Building your studio and are looking into acoustic treatment or soundproofing? We've got you covered. The sound of your recording is hugely impacted by the sound of your room. I cannot stress this enough. It doesn't matter if you've spent $300 on a high-end condenser mic, your room acoustics will still dictate your recording quality. Most new studio builders often mix up the terms "acoustic treatment" and "soundproofing" (or call them one in the same). This, however, will only lead to confusion when it comes to perfecting your room sound. Focuses on removing unwanted reverb within the room. 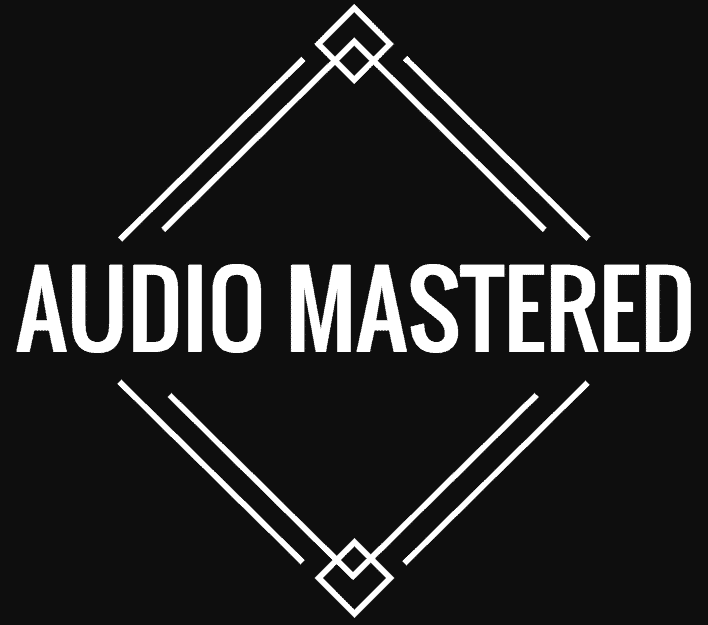 Accomplished using diffusers, panels, and bass traps. Focuses on preventing any ambient noise from entering/exiting your studio. Accomplished by completely sealing off any areas where air can escape - doors, windows, etc. Uses sound damping techniques to prevent any transfer of acoustic energy from one room to another. 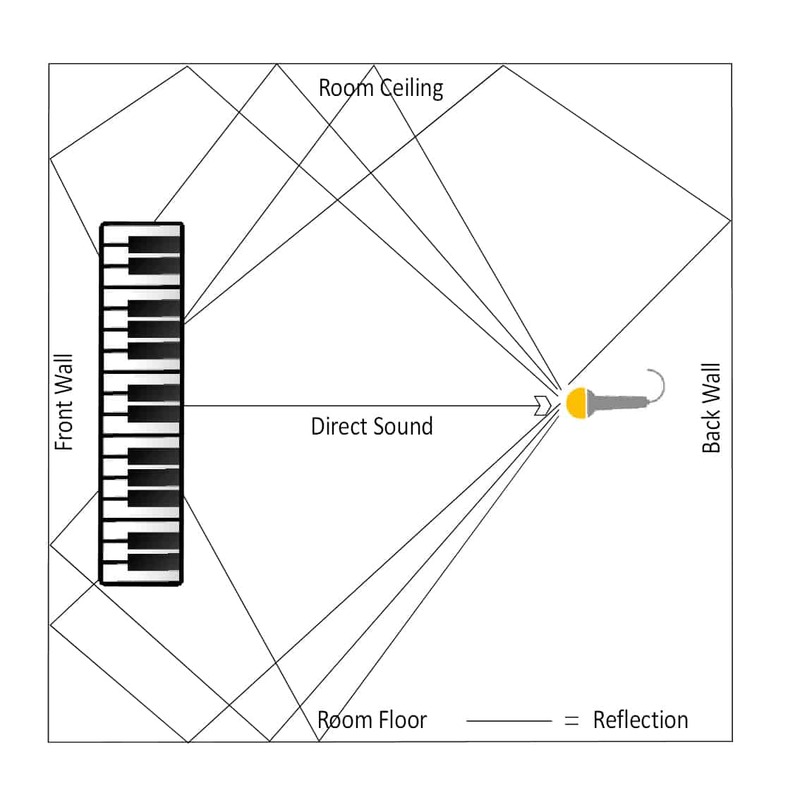 Having a basic understanding of how room acoustics work will go a long way when setting up the acoustics in your studio. Sound that is generated from a source will be directly picked up by your microphone. However, there will be additional reflections that are picked up from the sound wave reverberating off the objects in your studio. The nature of these objects will determine whether these reverberations are pleasant or harmful to your recording. There are a lot of factors that go into the nature of the reverberations, such as room size, ceiling height, and the overall shape of the room. The objects within the room will also have an effect on the reverb. Generally, when it comes to acoustics, the bigger the better. If you've ever been into a large cathedral you'll have a natural reference for beautiful acoustics. So why are modern recording studios so small? Three reasons: easier to build, far less expensive, and FXs. Having large studios is impractical. Especially with the advent of FXs. Both analog and digital reverbs are now ubiquitous. It is only in rare occasions that large cathedral style rooms are used for recording. Consequently, it's now our goal to remove most of the room's natural reverb to achieve a clean recording. We then go in during mixing and add the reverb of our choice. Virtually any room of your choosing can now be modeled through digital reverb plugins. This brings us to the issue of removing the room's unwanted reverb. ​Before we dig into the acoustic treatment you're first going to need to know where the trouble areas are in your room. There are a few ways to do this. The easiest also happens to be my favorite. What we're looking for is any unpleasant ringing. Walk to different locations in your room and clap loudly. Listen carefully to the reverb, keeping an ear open for any metallic ringing. Hear some? These are your problem areas. Remember these locations as this is what we are trying to reduce when we are using acoustic treatment. You'll want to perform multiple A/B tests to reduce this metallic ringing with acoustic panels and bass traps. It's extremely difficult to predict what is going to happen to a sound wave after it leaves its source. 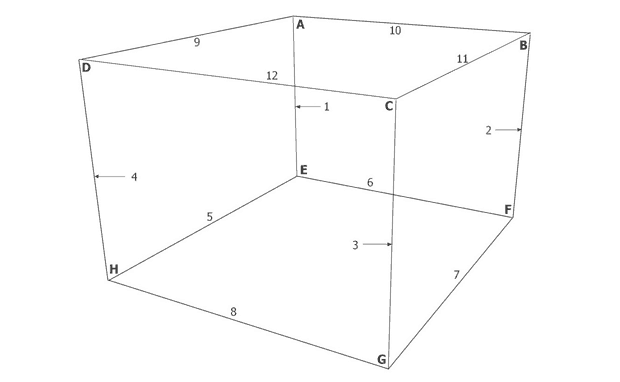 Two rooms of the same dimension can sound vastly different depending on the materials they are made of. Add the different studio layouts into the mix and you can see how things can get incredibly complicated very quickly. Some of you may be asking, "why bother in the first place"? It's a valid question. In the end, it's really going to depend on what you will be using the studio for and what you want to get out of it. If you will be using the studio to record anything acoustically and you want anything close to a professional sound, this is something you'll need to invest in. It also becomes important if you plan on doing any mixing in your studio. The reverberations within your studio will color any of your mixes (similar to consumer headphones). This prevents you from hearing the actual recording and can lead you to an unbalanced mix. Any acoustic recordings will be similarly affected (usually for worse), leading to a 'tinny' metallic-sounding recording. Mixing or mastering with monitors? Yes. Acoustic recording (vocals, guitar, piano, drums)? Yes. Jamming casually with friends? Skip if you don't have the budget. With that being said, let's quickly talk about what we are trying to achieve. It's a misconception that you are trying to kill the reverb of the room completely. Rather, it's best to think about it as controlling the energy of the sound wave within the room. Because home studios are much smaller then professional level studios, the sound energy levels can be extreme. Our first goal will be to control the energy level, and then focus on quality. There are two conventional methods to controlling the sound energy in the room: absorption and diffusion. A particularly troublesome culprit is the low-end frequencies. With small spaces, we should be controlling the low-end as much as we can. This brings us to our first tool: Bass Traps. Limited budget? Focus on the low-end. If you can only afford one piece of acoustic treatment, get bass traps. While they are great for fixing any low-end issues, they also work well for touching up the mids and highs. 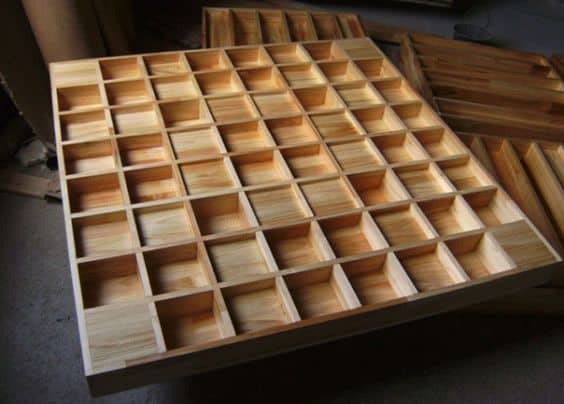 The ones you are going to want to focus on are called Porous Absorbers. Acoustic absorbers trap the sound energy and dissipate it as heat. The best products are usually made of foam with varying densities. 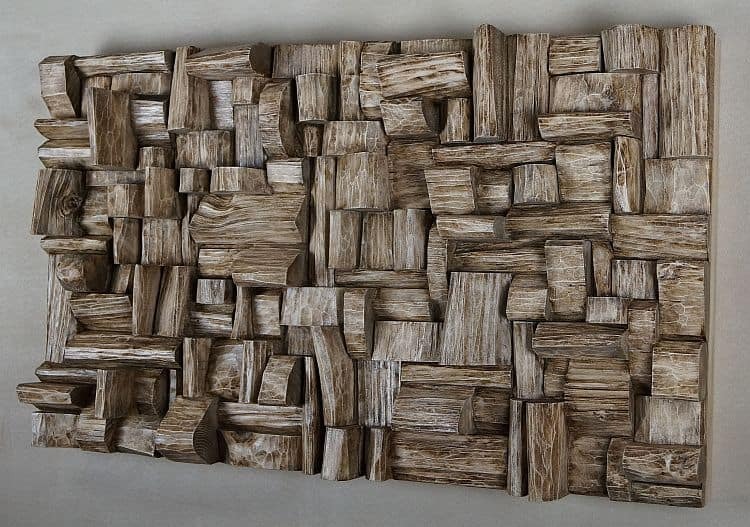 You can also find some on the market that are made of fiber glass and rock wool. 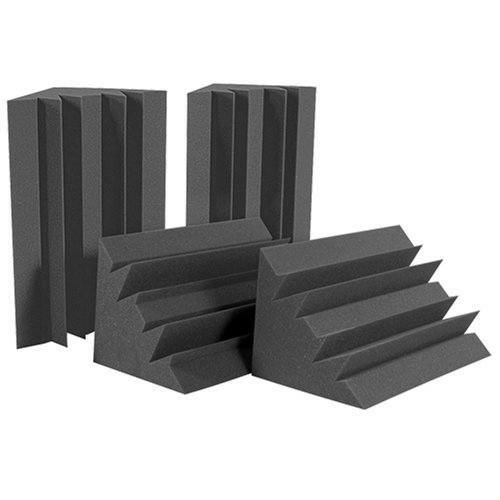 Conventionally, these foam absorbers are used in combination with an air-gap behind to be the most effective. As mentioned above, these bass traps are great broadband absorbers and work well to reduce any flutter echo, modes, speaker boundary interface, and standing waves. 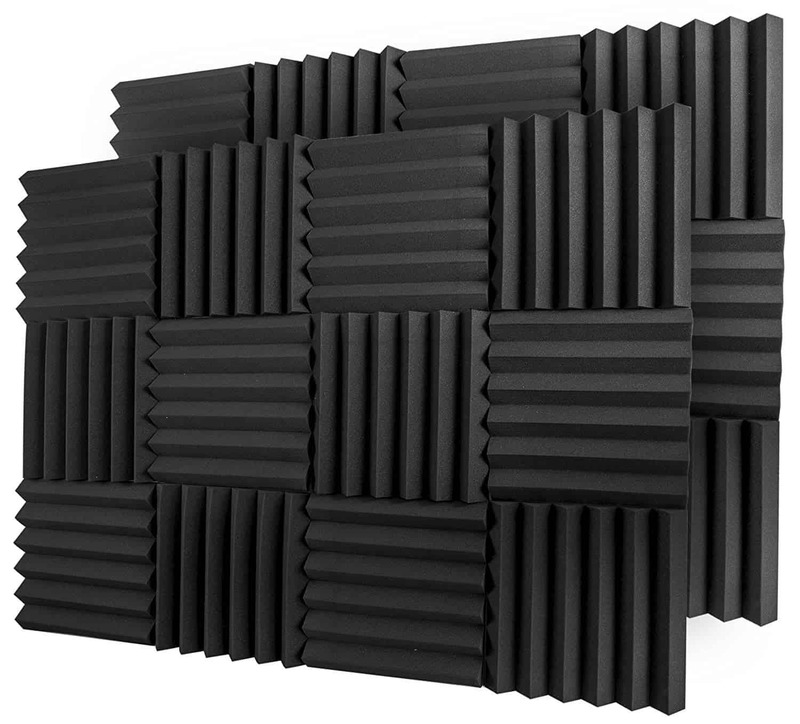 Manufacturers have been making these acoustic absorbers quite dense to accommodate the smaller DIY home studios. How much do I need? And Where do I put them? Unfortunately, this is not always a straightforward answer. Each room is going to be different. As a general rule of thumb, placing them at the letters below will be the most effective if you have a limited budget. If you have the budget for more, covering corners 1-4 will be your next best bet. Want more options? Check out this awesome ﻿resource for more advanced placements. The next option to buy after the bass traps. Acoustic panels take care of most of the mid to high range frequencies. These are best placed right on your first reflection points. The main attraction with acoustic panels is they offer a much better surface area to price ratio compared to bass traps. They can be less dense because they aren't required to absorb as much energy - therefore, they require less material to manufacture. Where should you put them? As mentioned above, the first locations you need to cover are the first reflection points. 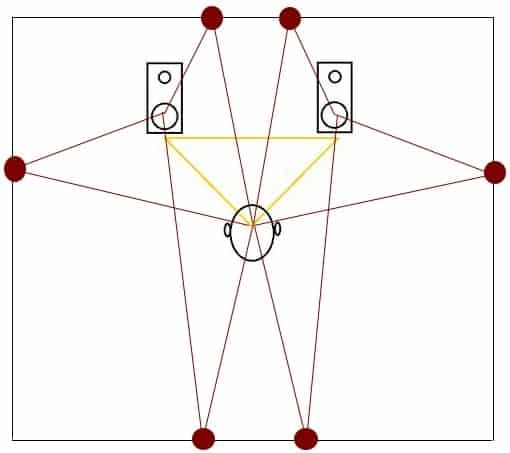 The first reflection points are the mirror points between the monitor or loudspeaker and the listening position. 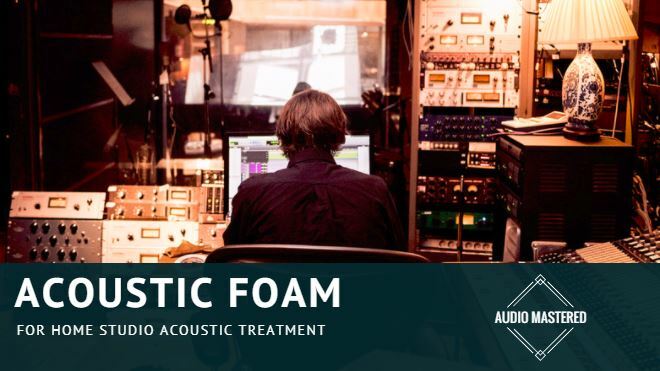 Use t﻿﻿h﻿﻿is fantastic ﻿﻿resource from advanced acoustics to help locate them in your studio. Play around! Experiment! See what works. Each room is going to be slightly different. What are the best acoustic panels? Try to avoid the cheap 1'' panels. Having at least 2 inches will ensure that you are soaking up a lot of the mid to high range frequencies. The last thing on your list (also usually the most expensive). If you don't have a limitless budget you can skip these. Their effectiveness for smaller rooms can be argued. If you do decide to splurge and pick some up, I'd recommend placing them either on the wall directly behind your mixing station, or on the ceiling. There is also the option of creating your own (not that difficult if you have any background working with wood). Just get creative here. Don't want to make your own? Here is a conventional option. ​Setting up your own studio can be a challenging process. Just remember that it will be all worth it in the end. Invest what you can initially and slowly add treatment as you go. As I mentioned above, you can get a lot accomplished with bass traps in a small room.